Rio Carnival 2019! 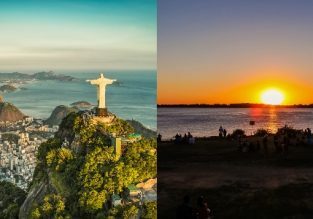 Cheap flights from Europe to Brazil from only €386! Cheap flights from Europe to Rio De Janeiro or Sao Paulo from only €386 roundtrip with Air France! Easter holiday in Rio! 7-night B&B stay in top-rated 4* hotel in Copacabana + SWISS flights from France from €520! Great opportunity to visit Brazil over Easter! We’ve put together a package with 4* Swiss International Airlines flights from Paris, Nice or Bordeaux, France and 7 night stay in top rated 4* hotel with breakfasts in Rio de Janeiro, Brazil from only €520.50 (based on 2 person booking)! HOT! Cheap peak season flights from Cincinnati to Rio de Janeiro, Brazil for only $416! Amazing opportunity to fly to Brazil! Fly from Cincinnati, USA to Rio De Janeiro over Thanksgiving or Brazil’s / USA peak Summer from only $416! Cheap flights from New York to Brazil, Argentina or Chile from $514! 7-night B&B stay in top-rated 4* hotel near Copacabana Beach, Rio de Janeiro + flights from France for €511! Ever wanted to visit Brazil? This is an amazing opportunity! We’ve put together a package with Swiss flights from Paris, Bordeaux or Nice and 7 night stay in top rated 4* hotel with breakfasts in Rio de Janeiro during the start of Brazil’s summer from only €511 (based on 2 person booking)! Adventure in South America! 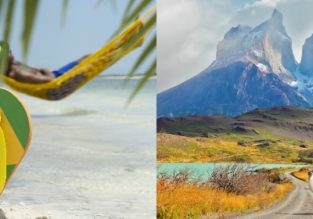 Sao Paulo, Rio de Janeiro, Santiago, Patagonia and Buenos Aires in one trip from Paris for €768! Summer 2019! Cheap flights from France to Southern Brazil or Rio de Janeiro from only €376! 7-night B&B stay in top-rated 4* hotel in Copacabana, Rio de Janeiro + SWISS flights from France from €527! Ever wanted to visit Brazil? We’ve put together a package with 4* Swiss International Airlines flights from Paris, Nice or Bordeaux and 7 night stay in top rated 4* hotel with breakfasts in Rio de Janeiro from only €527.5 (based on 2 person booking)! Xmas and NYE! Business Class flights from London to Brazil or Peru from £1075! 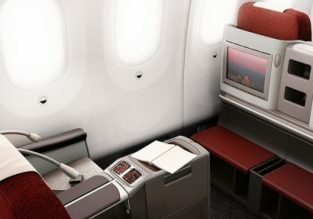 LATAM is offering a very good price for Business Class flights from London to several Brazilian cities! Book a ticket for only £1075 for a roundtrip! Xmas available to most destinations, NYE available to Sao Paulo and Lima! Business Class flights from Barcelona, Frankfurt and Rome to Chile and Brazil from just €1051!